Note from the LeftEast editors: this article was originally published in Slovak in the newspaper Pravda. We republish the piece in English with the kind permission of the author. The blue sea and summer holidays – that is what people usually associate with Croatia. However, there is a vast inland too. And tourism is not the only pillar of the economy though it is crucial as a foreign exchange earner. Since independence, the economy has, however, become more reliant on the tourist sector. Industry suffered heavily from the disintegration of Yugoslavia, the war and transformation. It has never again reached its 1989 level. For many years, ship-building still remained an important and technologically relatively advanced industry. Before Croatia’s EU accession, the European Commission demanded the privatisation of the ship-building industry – with highly negative effects. Now agro and food industries remain as the key industrial sector. This sector is to a large extent either controlled or highly dependent on just one corporation – Agrokor. Agrokor is the main player in retail trade as well. Agrokor exercises an influence on up to 15% of the Croatian GDP. It is a major employer. In 2015, 28,550 persons were employed by Agrokor in Croatia alone. Agrokor’s activity is, however, not confined to Croatia. Particularly in retail trade, it is active either directly or indirectly as well in Slovenia, Serbia and Bosnia-Herzegovina. Agrokor employed 11,623 people in Slovenia, 11,466 in Serbia and 5,305 in Bosnia-Herzegovina in 2015. In a way, Croatia-based Agrokor is almost a Yugoslav corporation. In early spring 2017, severe solvency problems surfaced. The company is balancing on the edge to bankruptcy. The Croatian economy is shaken by Agrokor’s crisis. A possible return into recession is discussed in the media. And the neighbouring countries are alarmed. Agrokor’s history is closely linked to its owner – Ivica Todorić, one of the main tajkuni of the region. Like other oligarchs, Todorić is rather discreet regarding how he built his enormous empire. Some episodes are told in the film and book “Gazda”, particularly, his tricks in getting control over Konzum, the cornerstone of his retail empire. The book gives insights into Todorić’s excellent political connections and his dubious business practices. In his book “Gazda”, Saša Paparella underlined that had become known for its practice of “non-payment” or rather extreme late payment exploiting its monopolist position in many areas. Todorić did not welcome this type of publicity. And he exercises strong influence in the media sphere as well. He controls Tisak, the main media distributor. Many book shop chains refused to distribute “Gazda”. It is possible to find the book in Zagreb, but one has to know where. Likewise, the big cinema chains refused to show the film, allegedly for the little interest of the public. Todorić built an agro-industrial-retail complex. The agro-industrial and retail parts are strongly interlinked. There is clear economic logic behind this. The retail chains buy to a significant extent locally. This has contributed to stabilising agro-production in regions like Slavonia. Todorić has systematically aimed at building monopoly positions. His ambitions have not been confined to Croatia. He expanded in the neighbouring countries as well. Todorić perceived the financial crisis in neighbouring Slovenia as an opportunity to acquire the Slovenian retailer Merkator and turn the Agrokor group into a major regional player. The acquisition of Slovenian Merkator was indeed a milestone in this expansion – and in the accumulation of debts. The acquisition of Merkator is a major element of Agrokor’s present debt crisis. 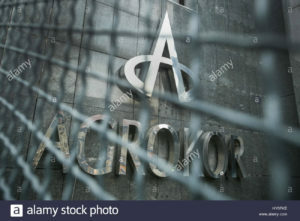 Agrokor accumulated debts of 5.7 bn euros. It is not only banks to whom Agrokor owes large sums, but also suppliers. At the end of March 2017, Agrokor had to seek a standstill agreement with its main creditors in the banking sector in order to gain a breathing space. It continued to seek fresh credits – mainly from Sberbank, VTB Bank, Erste Bank, Raiffeisen, Intesa and Unicredit. The fact that two Russian banks are the main creditors provoked a debate on possible geo-political ramification in resolving Agrokor’s crisis. Internationalised Power Struggle in Vene ..
Turkey: Voting under the State of Emerge .. Nationalism at a Crossroads: the Turkish .. The next step was the involvement of the Croatian state. In record time, a special law on stabilising strategic enterprises in trouble was passed. In Croatia, it is known as “Lex Agrokor”. The government appointed a state administrator for Agrokor. The government is, however, intertwined with Agrokor. The Minister of Finance, Zdravko Marić, was part of Agrokor’s top management from 2012 to 2016. These links were heavily criticised. The government split on the issue – with Most, a right-wing party with an anti-corruption discourse, not being willing to declare their confidence in Marić. Though the local elections at the end of April were in the shadow of the Agrokor crisis, not many effects could be seen. The main government party, the national-conservative HDZ (Hrvatska demokratska zajednica), showed a relatively stable result. The only novelties were in Zagreb. For the first time, a left-wing formation with many urban activists was elected into the local parliament with more than 7% of the votes. They had articulated a critique of the role of developers on urban development. The critique of oligarchic development has been mainly confined to left-wing intellectuals. The deep crisis of that model has so far not yet led to a break with this model. It seems that most of the costs of Agrokor’s crisis will have to be borne by suppliers and workers. A number of Croatian food-production companies are in a very precarious position. Agrokor’s crisis is far from over. There are good reasons for a state involvement in dealing with Agrokor’s crisis because of the overriding importance of that corporation. However, state involvement should take a different form – and should provide the state with a strategic developmental role in the economic key sector. This would, however, presuppose severing the oligarchic links. This issue is not confined to Croatia. In the Czech Republic, Andrej Babiš’s double role as Finance Minister and business tycoon has fuelled massive controversies. Babiš whose business trajectory shows parallels with Todorić opted differently from the Croat tajkuni for a direct political role. After a number of scandals, he was recently pushed out of the cabinet. Opinion polls still show his party, ANO, in a leading position a few months before the Czech parliamentary elections in autumn this year. The Croatian case shows that the indirect role of oligarchs in politics is not less problematic. 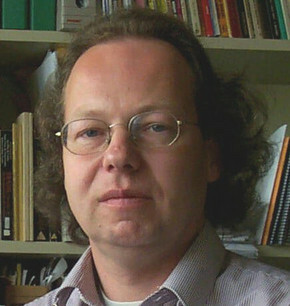 Joachim Becker is a professor of Economics and Business at Vienna University and deputy head of the Institute for International Economics and Development. His research interests include state theory, regulation school, development economics, regional integration and disintegration and analysis of Eastern and Southern Europe, Turkey and Mercosur.